Happy Wellness Wednesday Friends! 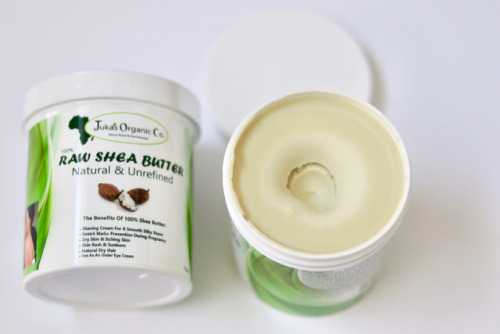 Let’s talk shea butter since... – Juka's Organic Co. Happy Wellness Wednesday Friends! Let’s talk shea butter since the fall season is already here! Curious about the rave why people love shea butter? Read below. Don’t forget to follow our blog for healthy food and beauty tips. The world changes by seasons and our skin can also age rapidly if we don’t take good care of it. This is the perfect time to rejuvenate that skin of yours after laying out and enjoying the sun all summer long. The best foundation you can wear is glowing healthy skin. As fall is here it’s time to search for the skin nourishment ways. During this time of the year, the skin starts to feel stretched and leathery, especially for those who have dry skin. And for others who have been neglecting a proper skin care regime also notice patchy, dull looking skin. Juka’s Organic’s Shea Butter is full of nutrient-dense ingredients including Vitamin A & E to offer your body its many healing properties. Shea Butter is also famous for treating blemishes, wrinkles, eczema, and dermatitis. The many healing properties that shea butter offers to the skin is the reason why you see it in almost every skin care product. This is great But, most of it is often processed and refined hence not leaving you with much value. Try the real authentic African Shea butter on your skin. Apply it under your eyes as a night cream. Much more reasonable and also works better for anti-aging. Juka loves to apply shea butter on her body after and intense workout to help prevent stretch marks and cellulites. For a firm beautiful skin try adding shea butter to your skin regimens and see yourself age gracefully.